No matter where you are in the tiny country of Costa Rica, you will see a volcano towering over you. At the base of those volcanoes are the amazing hot springs they produce inviting tourists from all over the world to experience a unique lifetime experience. 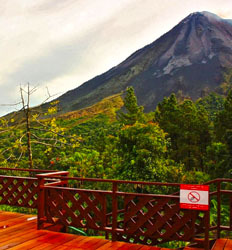 The Real Deal Tours Arenal Volcano and Hot Springs Tours offer you many different options to enjoy these majestic creations. Hot Lava to Hot Springs, Arenal Volcano and Hot Springs tours summed up in one simple phrase. Can you really ask for more? 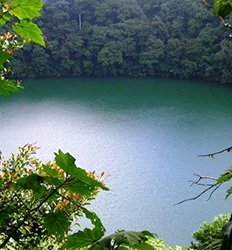 If you love to hike and immerse yourself in nature, you can hike your way around the ridges surrounding the Arenal Volcano and experience the wonderful wildlife of Costa Ricas rich flora and fauna in Arenal. If heights aren’t you’re thing, The Real Deal offers many informative nature walks through the Arenal National Park. 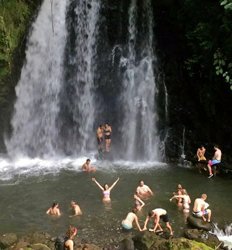 You’ll be guided by professional naturalist and biologist guides that have lived their entire lives in that rainforest region who will show you the magic of hidden waterfalls, emerald green pools and hot springs with healing powers! 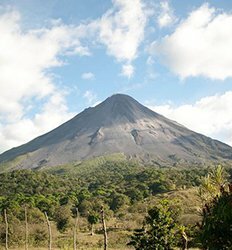 An experience not to be missed, you’ll want to add an Arenal Volcano and Hot Springs tour to your must-see list! 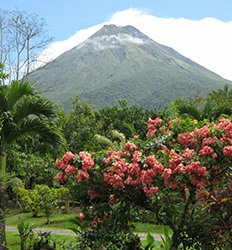 Check out our selection of Arenal Volcano and Hot Spring Tour Combos below and book your unforgettable Costa Rica experience today! The Spring Resort Adventure Package at Club Rio lets you choose 2 fun activities such as horseback riding, kayaking, tubing, a climbing and rappel wall or just a leisurely stroll through nature. After all that adventurous fun, a soothing soak in the hot springs never sounded better! 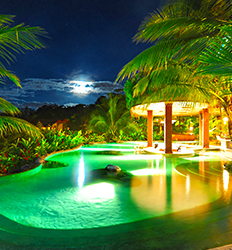 Experience the heart-stopping views, the impeccably-maintained grounds, the chic air of exclusivity that only The Springs Resort and Spa at Arenal can bring you! Come and see why this property has rocketed to fame in recent years. The Springs Resort Day Pass gives you all-access at a fraction of the cost of an overnight stay! 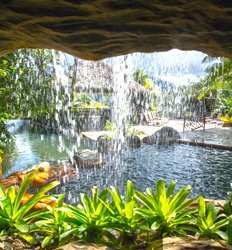 The Springs Resort and Spa at Arenal Day Pass Tour deposit is $5.00 per a Day Pass Only and $20.00 per 2 Day Pass + Lunch.